There are various types of immune cells in the immune system, including mast cells, natural killer cells, basophils, neutrophils, monocytes, B cells, T cells, macrophages, dendritic cells, and eosinophils. White blood cells play a major role in keeping you healthy by fighting off viruses, bacteria, parasites, and fungi. 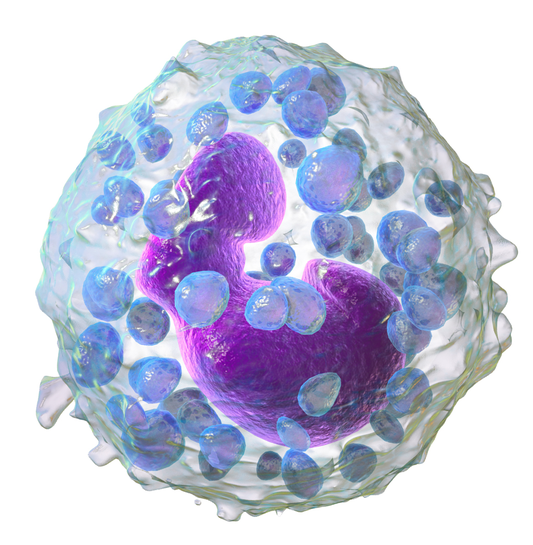 Mast cell and basophil are two types of white blood cells. They are granulocytes. Granules can be seen on their surfaces when viewed under the microscope. These small granules (small particles) are filled with enzymes. Mast cells and basophils are the major cells in the early phases of allergic reactions. The key difference between mast cell and basophil is that mast cells contain more granules than the basophils. One mast cell normally contains 1000 small granules while a basophil contains 80 bigger granules. Basophil is a white blood cell and a granulocyte. Basophils have granules on their surfaces. These granules are filled with enzymes called histamine and heparin. These enzymes are important in inflammation, allergic reactions and asthma. They are mostly found in the skin and mucosa tissues, which are the lining tissues of openings in the body. Basophils account for 1% of the overall white blood cells in the body. Basophils are produced and matured in bone marrows from myeloid stem cells. Basophils help in preventing blood clotting and mediating allergic reactions. Heparin is responsible for preventing blood clotting and histamine works during allergic reactions. A mast cell is a white blood cell which contains granules. Mast cells are found in most tissues such as skin, mucosa, digestive tract, mouth, conjunctiva, nose, etc. which are surrounded by blood vessels and nerves. They are derived from myeloid stem cells and work as a part of the immune system. The granules of the mast cells are filled with histamine and heparin. Thus, mast cells release these chemicals during inflammatory and allergic reactions. Mast cells perform other several functions as well. They are involved in wound healing, angiogenesis, immune tolerance, defense against pathogens, and blood brain barrier function. Mast cells were first described by Paul Ehrlich in his doctoral thesis in 1878. Mast cells were initially identified as a type of basophil. Though the origin and function are similar, they are different from basophils. Mast cells are bigger and contain more granules (1000 per cell) than basophils. Granules of mast cells are very much smaller than the granules of basophils. There are two types of mast cells based on the proteinase content. They are TC mast cells and T cells. TC mast cells contain neutral proteases such as tryptase and chymotryptic proteinase. T mast cells only contain tryptase. What are the Similarities Between Mast Cell and Basophil? Mast cells and Basophils are white blood cells. Appearance and function of both cells are similar. Both cells contain histamine and heparin. Both are derived from CD34+ bone marrow progenitor cells. Mast cells and basophils are essential components in allergic inflammation. Mast cells and basophils are effector cells in innate and adaptive immunity. What is the Difference Between Mast Cell and Basophil? A mast cell is a type of white blood cell and a granulocyte, which is bigger than a basophil. Basophil is a type of white blood cell and a granulocyte. Mast Cells circulate in their immature and mature forms at the tissues site. Basophil becomes mature in the bone marrow itself. Mast cells are fixed in tissues. Basophils are not fixed in tissues. Mast cells are bigger than basophils. Basophils are smaller than mast cells. A mast cell has 1000 granules per cell. A basophil has 80 granules per cell. Mast cell granules are 6 times smaller (0.2 µm vs. 1.2 µm) than the granules of basophil. Basophil granules are bigger. Mast Cell has a round nucleus. Basophil has a bilobar nucleus. 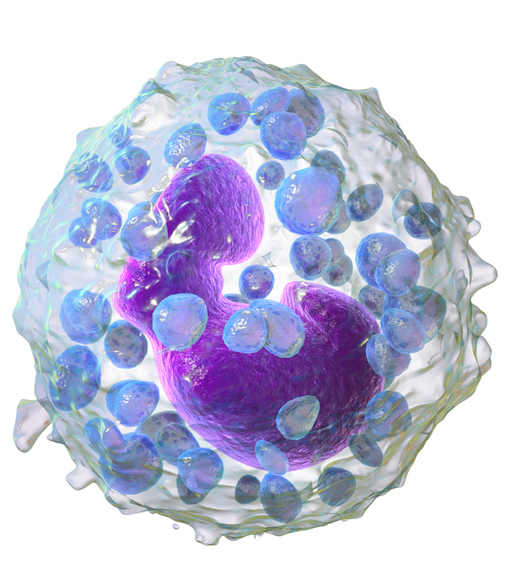 Basophil and mast cell are two similar types of white blood cells found in the immune system. Both these cell types contain granules filled with heparin and histamine. They are involved in inflammation and allergic immune reactions. Mast cells are bigger than basophils and contain round nuclei. Basophils contain bilobar nuclei and bigger granules. Mast cells contain more granules than basophils. This is the difference between mast cell and basophil. You can download PDF version of this article and use it for offline purposes as per citation note. Please download PDF version here Difference Between Mast Cell and Basophil. 1. “Basophils: Definition & Function”Study.com. Study.com, n.d. Web. Available here. 20 July 2017. 2. Stone, Kelly D., Calman Prussin, and Dean D. Metcalfe. “IgE, Mast Cells, Basophils, and Eosinophils.” The Journal of allergy and clinical immunology. 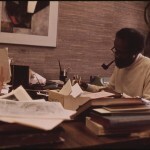 U.S. National Library of Medicine, Feb. 2010. Web. Available here. 20 July 2017.